Vadez (MC Vader) is a vet for this grime game, he's been doin his thing for years, respected by thousands across the UK and internationally for his lyrical content he now drops his latest E.P entitled 'Grown Up Music'. The E.P opens up with a big boy track alongside a fellow Birmingham vet and fellow school friend MC Docta. The EP sees a number of guests including Invasion's JayKae & Hazman, Birmingham's rap artist Opiffawana and others . . .
Cody Kahmar is smashing the scene with his mellow flow and feel good tracks, but his latest release has more of an uptempo 'Daft Punk' kinda flow. . . It may even have a little 'Get Lucky' sample in it! His range of skills is crazy and his videos are raw and some could say 'racey'. UK based rapper S.O.P, aka S.O.P Xcel has released his debut single “Nwannem” also known as “Speaking In Tongues” following on successful launch of the single’s video on YouTube. Are you interested in working with young offenders? - Apply NOW! 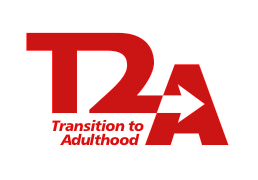 T2A is a project lead by Staffordshire and West Midlands Probation Trust that assists young offenders make the transition from Youth Offending to adult Probation Services. They are looking for volunteers who have patience, commitment and drive to mentor and support young people aged 17-24 away from crime and towards attaining a range of adult skills and abilities so they can realise their full potential. Inavsion Alert . . . The Alien Invasion is coming!!!!! Their coming, their here . . . . It looks like there is gonna be a rar takeover!!! The Alien Invasion is here and things are gonna get messy in the music industry! New Music: Ciara Feat. Future & B.o.B “Body Party (Remix)"
Ciara and Future brought their real-life relationship on-screen in their sensual "Body Party" video, now they return with its official remix. The track is BIG!! It samples some of the old 808 beats and lyrics that will have you thumpin this hard this summer. The UK's first Youth Crime Commissioner has resigned following the Daily Mail printing some of her racist, homophobic tweets that she posted from her personal Twitter account. People try defend her but we say BUN DAT!!!! Ur not ready for Dis . . . or the remix! LC Supreme presents their new single "Ur Not Ready 4 Dis", featuring the Hackney born and bred MC, 'Marshan Blak' Aka 'Kurfew' and hot new underground producer Bona Mapianda. One Mile Away is a documentary film about two warring gangs in inner city Birmingham, Burger Bar (B21) and Johnson Crew (B6) and the attempts to bring peace to their neighbourhoods. The trailer of the movie highlights some real issues with known people in the area . . . This ting looks the real deal! Watch it on Channel 4 on Thursday 11th. There is a hot storm coming straight from Africa . . . It's the Nigerian R&B sensation, P Square with their hot new track ALINGO! Referred to as the 'Azonto on steroids' this is the new dance to mash up the UK! (If you don't know about the Azonto - you'll learn more here!!). A young girl named as Christina Edkins has needlessly lost her life toady after being stabbed to death in Birmingham City Centre today by a 22 year old (p***yhole) man on a bus while on her way to school. Passengers on the bus battled to save Christina's life by giving her CPR until paramedics arrived at the scene, but despite their efforts, the schoolgirl was pronounced dead at the scene.